Castleisland Town and the Sliabh Luachra area! Sliabh Luachra; the place and the music. 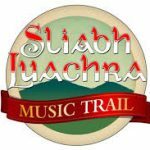 A few years ago, when, for various reasons, the music of Sliabh Luachra began to reach a wider audience, the question was frequently asked, ”Where exactly is Sliabh Luachra?” It is a question that has never been answered “exactly”, and maybe that’s the way it should remain. When Alexander Nimmo was making his maps for the bog survey in 1811, he referred to the upland area surrounding the valley of the upper Maine as “Ciarrai Luachar”. In more recent times, the legendary Castleisland journalist, Con Houlihan, referred to it simply (or maybe not so simply) as “a state of mind”. We can say for sure that it is an ill-defined area and includes some exotic places- Scartaglin, Cordal, Brosna Rockchapel, Newmarket, Ballydesmond, Gneeveguilla, Knocknagree- to name a few. In short, you will find it where Kerry and Cork and Limerick collide. During the 17th and 18th centuries –a dark period in Irish history- Sliabh Luachra was uncharted territory, except to those hardy Gaels who called it “home”. That wild moorland was impassable for most of the year and provided sanctuary for a wide variety of people, some of whom would have come from far afield and brought with them their stories and tunes–, a cultural bric-a-brac that swelled the cultural melting pot. There were outlaws and refugees and poets and pedlars. There were the dispossessed. It was a blessing of sorts for them, at a time when blessings were few, that the planters had little interest in moorland. Aodhagan O’Raghaille,( c. 1670-1726)) often referred to as the last of the Bardic poets , was from Scrahanaveal. He is chiefly remembered for his “Aisling” or “vision” poems. A typical Aisling would feature the poet, in dream state, meeting with a beautiful mournful woman, (called Speirbhean, and personifying Eire) who would tell him of her woes and her hopes. The fall of the House of Desmond in 1583, the defeat at Kinsale in 1601 and the Flight of the Earls in 1607 signalled the end of the old Gaelic order. Aodhagan told the story through his poetry. 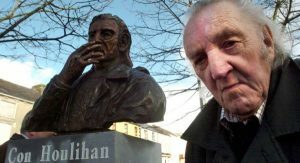 About 20 years after Aodhagan was buried in Muckross Abbey (and about a mile from his birthplace), Eoghan Rua O’Suilleabhain was born in Meentogues Gneeveguilla. There are many anecdotal tales told today of the spailpin poet and his uncertain lifestyle, many of which may be true; but as regards his position, and that of Aodhagan, in the cultural history of Ireland, it is vital to consult that seminal work by Daniel Corkery, “The Hidden Ireland” (Gill and Macmillan 1924). The music of Sliabh Luachra that we now know, in common with other regional styles, vis. Donegal or East Clare, is embedded in the history of the area and its distinctiveness is discernable. This is particularly true in relation to the playing of slow airs, polkas, slides and hornpipes, many of which seem to have taken root in this area exclusively. A fine example is found in the song and hornpipe called “Johnny Cope”, which refers to an incident at the battle of Culloden. Could it be that some fleeing Jacobite took refuge in Sliabh Luachra? The scenario is not implausible. The distinctiveness of the music is not totally dependent on the type of tunes played, but also on the nuances of individuals bowing technique, the grace notes, the liveliness etc. 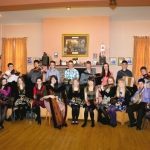 For too long the indigenous polkas and slides of Sliabh Luachra were regarded as the poor relations in the family of traditional Irish dance tunes. Not so anymore, we hope. Today they are played in competition at Fleadh Cheoil na hEireann and have been adopted by musicians worldwide. The very survival of these tunes is due in no small part to the genius and persistence of the likes of the blind fiddler and teacher, Tom Billy Murphy, Din Tarrant and Patrick O’Keeffe. Patrick was born in the late 1880’s in Gleanntaun, where his father was headmaster in the national school across the road. 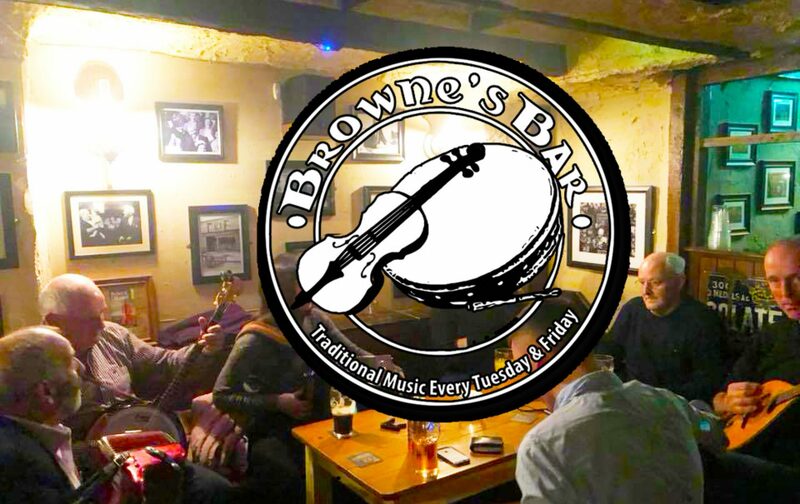 His name has become synonymous with Sliabh Luachra music. In early life he took over his father’s position at the school but his innate love for music (and all that went with it) proved incompatible with the rigorous schedule of headmaster and it wasn’t long before his teaching career was over. Then he took to the road on foot and on bicycle and began his always uncertain career as fiddle master. He taught the children in the private houses of the three counties and left a musical legacy that is unsurpassed. It was a difficult life but there was to be no going back. Many of those he taught became teachers themselves and their pupils in turn are playing the music today. Such is a living tradition. Shortly after world war Two, Seamus Ennis, who was working for the BBC, came to Castleisland and recorded Patrick and his friends Denis “the weaver” Murphy and his sister Julia. 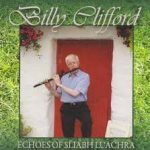 These recordings were eventually released in 1972 under the title ”Music from Sliabh Luachra Vol. 1”. Patrick, alas, never lived to hear it, having gone to his eternal reward in 1963.The Patrick O’Keeffe Traditional Music Festival takes place in Castle Island every October bank holiday weekend and continues to grow in strength, attracting the finest musicians from all over the world. Others to have graced the musical stage with distinction were the late great accordion player Johnny O’Leary of Gneeveguilla and his friend and collaborator Mikey Duggan of Scartaglin. There was Con Curtin of Brosna and Jerry McCarthy of Gortglass—the list is huge. Indeed, any attempt to compile an inclusive list of those playing the music today would be practically impossible. Contribution from a local Artist, passionate rugby supporter and a Friend of the Music. Castleisland town was described by one of its most famous citizens, Con Houlihan, as ‘Not so much a town as a street between two fields’. The town of Castleisland owes its origins to the 13th century Norman Conquest of Kerry; it was the centre of Desmond power in the county at the time. The name Castleisland (translated from Irish: Castle of the island of Kerry) alludes to these Geraldine origins. Geoffrey de Marisco is accredited for constructing a fortified castle here in 1226, the ruins of which are still visible in the last precariously standing tower. The town came into the hands of the plantation lord Sir William Herbert in 1587 and the estate was leased by several other lords during the 1600’s . By 1686 it had developed into a reasonable market town with a market every Thursday and 2 fairs yearly. By 1747 a market house ( known today as J.K. O’Connors ) was built. Castleisland seemed to be often at the centre of agrarian disturbances including the Whiteboy movement of the 1780’s. 1798 is a noteable year in the history of Ireland because of the rebellion. 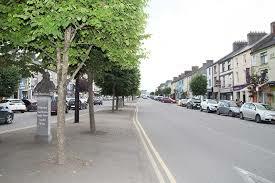 Though Kerry was very quiet it would seem the only disturbance of any kind occurred in Castleisland. The survival of Castleisland was due to the engineer Richard Griffith who was dispatched to the area with the task of road building during the uprising of 1821. The Rathkeale-Castlisland road was completed in 1827 and by this time the district was changed out of all recognition. This road building connected the town to other centres of trade during the turbulent famine times and the later trouble of the 1900’s.